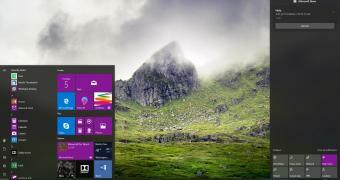 Home » News » Should Microsoft Release More Themes for Windows 10? Everybody likes to personalize their computers and customize the appearance based on their own preferences, so all the improvements that Microsoft is making in Windows 10 are very well received. Living proof is the new light theme that Microsoft is working on right now. This light theme, which will go live for everyone with the release of Windows 10 version 1903 in the spring, will make the desktop look and feel more modern, especially because Microsoft has also created new icons to align with this look. In fact, Microsoft has made it a priority to improve themes in Windows 10, and both the dark and the light themes are living proof in this regard. But despite Microsoft putting a lot of effort into revamping Windows 10’s look, there still are things to improve about both themes, as they still don’t cover the entire operating system.